Today Bishopp launches the newly digitised Garbutt Supersite billboard! The Garbutt double-faced billboard, located on bustling Woolcock Street, has been a hit since the Townsville Supersite was first launched in March 2017. With such a prominent location, both local and international clients are flocking to secure their spot on the 12-meter wide site. Bishopp’s state-of-the-art Digital sites offer a unique opportunity for flexibility in booking dates and the ability to show multiple creative messages, all under the one booking. The new digital side of the Garbutt site faces traffic heading inbound to the Townsville CBD. 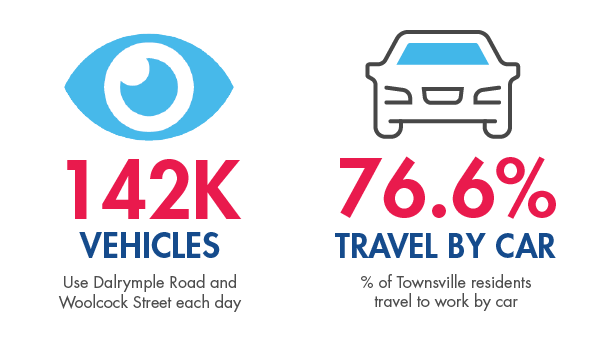 The site sees a daily traffic flow of 142,000 vehicles*, taking advantage of the 76.6% of Townsville residents who travel to work by car. To be one of the first on this new Garbutt site, or to learn more – get in touch!